The image on the left has no edits and no flash. The image on the right has "VERY MINOR" edits and fill flash. The images above are from a multi-location full day commercial photoshoot in North Carolina. The images are 2 of 1,400+ images taken that day. In this particular situation, the client wanted part of the outside of the fire truck with the fireman inside the fire truck using the radio equipment. 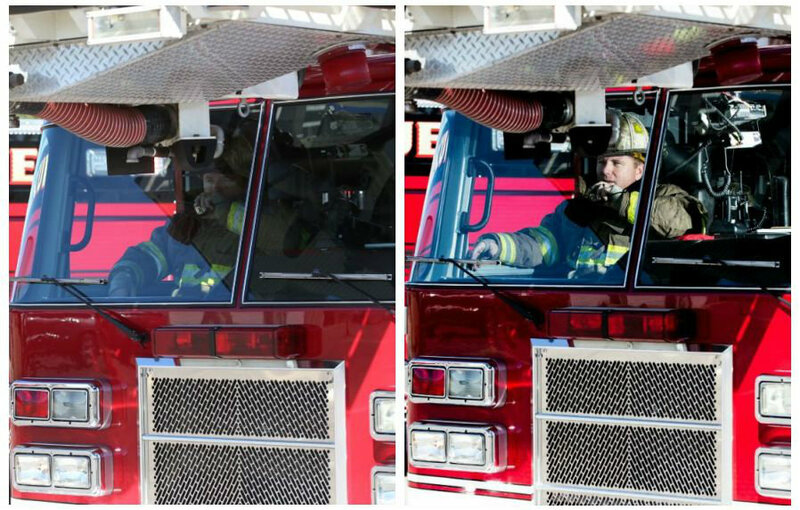 As you can see from the image above on the left, the fireman cannot be seen clearly with the available light. The two pieces of gear pictured on the left were used to create the interior light that you see above on the right. 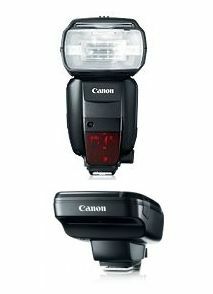 The speedlite is the Canon 600-EX-RT and the item below it is the Canon ST-E3-RT. As of this post both items combined cost is approximately $750 to $800. I used a Canon 5DMarkIII with a 70-200mm F/2.8 lens and the Canon ST-E3-RT mounted to the camera hotshoe. One of my assistants sat inside the fire truck with the Canon 600EX-RT pointed toward the fireman. Because the two pieces of gear allows for high speed sync, I didn't have to worry about my shutter speed. The ST-E3-RT simply triggers the 600EX-RT speedlite wirelessly. This is a great example of how portability, high speed sync and wireless communication can all work together to pull of the shot that you need.